The last time you heard from me (January 23, 2013, if anyone’s keeping track), Downton Abbey’s Sybil Branson (née Lady Sybil Crawley) was still alive. So, for that matter, was Matthew Crawley, heir to the popular British program’s eponymous estate. The last time you heard from me, Pope Benedict XVI was still wearing his famous red shoes. Advance word from Hollywood revealed, however, that due to copyright restrictions, another pair of famous red shoes would not be worn in Oz: The Great and Powerful. The last time you heard from me I was still living in Richmond, Virginia. That is no longer the case. Yes, the world will turn. And with every revolution, changes large and small are writ large and small in lives large and small…even in lives fictitious. Following a nine-week social media sabbatical, I am slowly making my way back to something resembling an online life. Blogging, tweeting, and Facebook-ing all took a back seat to real life, and although I’ve had pangs of guilt about my absence (Would my readers think I’d abandoned them? Would they rush into the arms of another midlife second wife and abandon me?) it was necessary to stay away. I haven’t had a vacation in years, and this hiatus in the real world felt like a vacation, albeit one with considerably more packing involved. It’s easy to forget just how much work goes into in a cross-country move…how many details, large and small, demand one’s attention. The sheer physicality of moving is exhausting. Just as exhausting are the weeks preceding the move, when your life is in flux and you don’t even know where you’ll land. The feeling of uncertainty feels like pain, when you can’t predict when the lights will come back on and you’re holding multiple possible futures in your head. That turns out to be cognitively exhausting. I cannot begin to compare my own comfortable situation to those displaced by natural, political, or financial disasters. 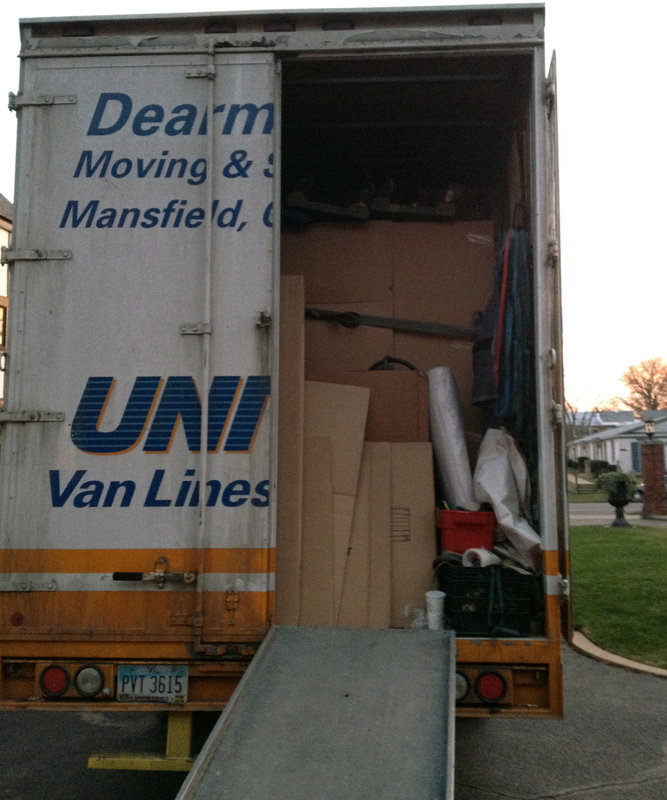 I do think, however, that anyone who has ever moved, for whatever reason, can agree that the months preceding a relocation—with unsettling uncertainties about where one will live, where one will create a life and a home—certainly feels like pain. Certainly it’s every bit as cognitively exhausting as it is physically draining. House-hunting is fun for about the first week; after that, it’s fraught with existential angst. Where will our new pizza joint be? What neighbors will we have, and what will they be like? What sort of days will fill our daily lives? Where will we dream our nightly dreams? As I write this, my husband and I have been in our new home for 36 days. We have brought our past lives with us along with our books, dishes, and furniture. We are unpacking and storing, organizing and setting up, making room for all of these things in our new space in Northeast Ohio. The rooms that were bare and strange upon our arrival are starting to take on the look of us, the look of the familiar, as if we’ve lived here longer than 36 days. And all the while the world is turning, and changes large and small are happening all around us. Thank you for waiting for me. It’s good to be back. Posted by themidlifesecondwife in House and Garden, LifeStyles, What's the Buzz? Know what else I love about this venture? Not only do I get to share with you my experiences in trying these new products, but I also will be donating the product to a charity of my choice once the testing is complete. You can learn more about the Viewpoints panel below, and if you click on this link you can read the press release. Sheila Hill started her blog in coastal New Jersey to keep faraway friends and family in the loop. She soon realized that she had a lot to say. From daily life to fun activities and day trips for kids to product reviews, “Pieces of a Mom” has evolved into much more than just a daily diary. Saving money is important. Sarah Mock’s family in Pennsylvania has cut back on many items, and she blogs about creative ideas for increasing value and reducing cost. She is also is proudly ‘green’ in that she recycles, composts, and buys local when possible. From Toronto, Randi Chapnik Myers and Mara Shapiro dish about the joys and challenges of parenting teens and tweens, from stalking kids’ Facebook pages to sharing their clothes to teaching them to stay safe – all while walking the tightrope between Mom and Friend. Frank, funny and honest, these two midlife moms aren’t shy about telling it like it is. Jill Nystul, One Good Thing by Jillee, Sorting through the beautiful clutter of life to find that “One Good Thing” each day and sharing it with you! Jill Nystul’s website is based on a simple promise — to deliver ‘one good thing’ to her readers everyday. Her background includes work as a Utah television journalist, and this blog is a return to her roots in that respect. Filled with practical tips and beautiful photos, she calls “One Good Thing by Jillee” her life-saving passion. Marci Rich started her blog after discovering that there really is life after 40, after divorce and after cancer. Readers find inspiration, comfort and humor at “The Midlife Second Wife,” which she defines as “a literary lifestyle/relationship blog with recipes and a medical memoir.” A graduate of Oberlin College, Marci is also a special correspondent for the Richmond (VA) Times-Dispatch. The “Metro Moms Network” is more than a blog. Kathy Zucker is founder of this one-stop shop to help families juggle career and parenting. From childcare solutions to expert advice to products that moms can’t live without, the “Metro Moms Network” is a valuable resource for New Jersey parents. 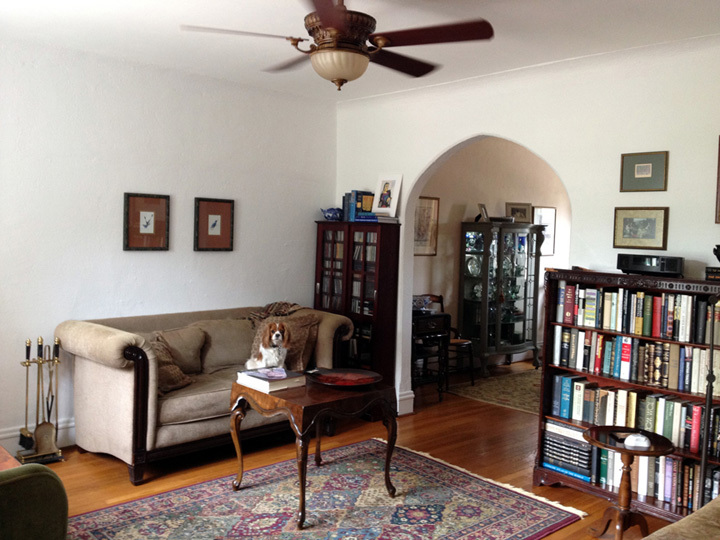 EDITOR’S NOTE: This essay was revised February 1, 2014, to include an after-photo of the living room, showcasing the great work of N. Chasen and Son. (Scroll to the end of the post to see the photo.) As regular readers of the blog know, John and I subsequently sold our beautiful townhouse in Richmond and moved back to Ohio. Look for future posts in the blog’s House and Garden section showing renovations to our new home in Northeast Ohio. The picture pretty much tells the story, doesn’t it? But let’s get your questions out of the way first. Yes, our bedroom is directly above the living room. No, that’s not why our ceiling collapsed. (Wink wink, nudge nudge.) No, we weren’t in the room when it happened. Yes, the pets and we were safely asleep upstairs. No animals or humans were injured as a result of this catastrophe. Yes, it’s a real mess, isn’t it? So what happened? Wish we knew. All we can do is surmise and engage in conjecture. 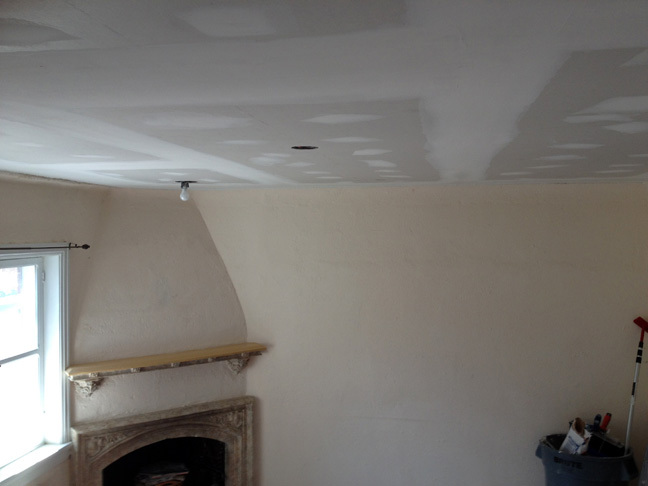 Several days before the collapse we noticed that a crack in our plaster ceiling had taken on an ominous appearance; it looked as though the ceiling could fall at any time. We arranged for a contractor to come out and evaluate the situation, and the following week (the day before his crew was scheduled to begin work) we prepared the area by removing all of our breakables and as much furniture as we could. Something told us to protect the remaining furniture, just in case. I’ve always been an “ounce of prevention” kinda gal, and those instincts didn’t fail us. At 4:15 a.m., the next morning, we were awakened by what I thought was thunder. Imagine the loudest clap of thunder you’ve ever heard, intensify it ten-fold, and insert yourself smack in the middle of the din. 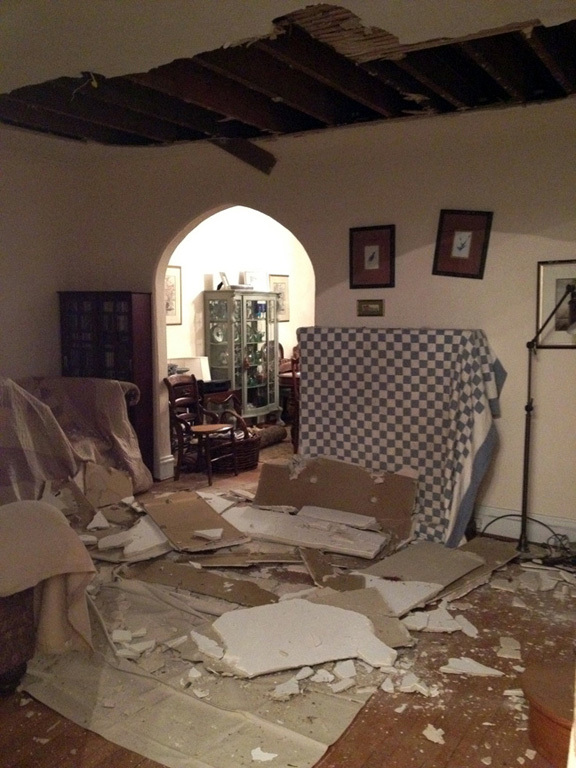 We never expected our ceiling to give way, but we’re awfully grateful for the timing of our precautions. And while we’re on the subject of timing, I should say a word or two about age. 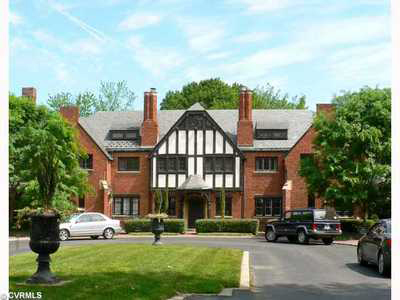 We live in an English Tudor Revival townhouse that was built in 1927. It’s filled with the sort of charm you’d expect from the era, and as an added bonus, it’s on the National Register of Historic Places. But it’s 85 years-old. Stuff is going to happen. According to documents filed with the National Registry, our enclave, known as English Village, was constructed as a multifamily planned community in what was once a tree-lined “streetcar suburb.” The trees still line our avenue, but the streetcars are long gone. [Enjoy] the new lifestyle … While enjoying all the amenities, including [the] privacy of single house living with an atmosphere of social respectability. An atmosphere of social respectability. A statement to do Downton Abbey’s Dowager Countess proud, what? Yes. Jolly good. All of this history is interesting, but it doesn’t help much when you’re standing in the middle of your living room with what once was your ceiling clumped in dusty piles around your feet. 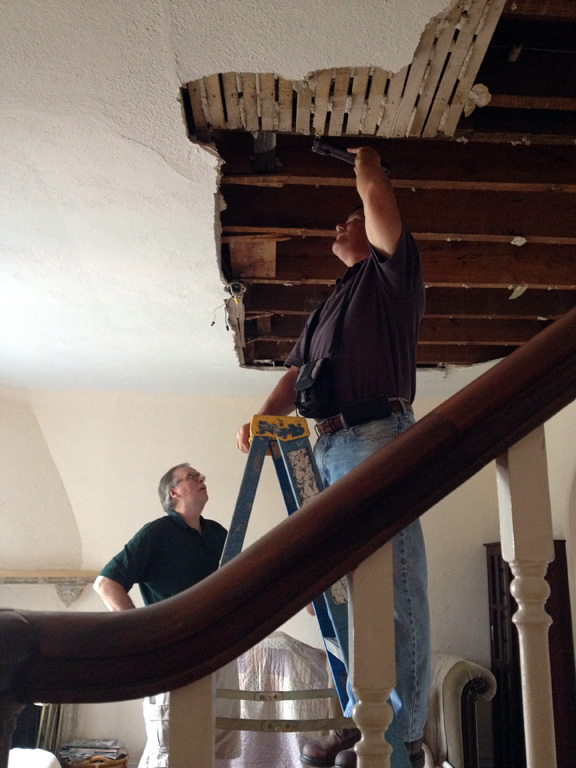 Luckily, we have an ace team on the job—Richmond’s own N. Chasen and Son. Here’s a picture of their head carpenter assessing the damage. The project should be completed in a few more days. And by the look of things, this new ceiling should last at least 85 years. We won’t be around to appreciate its longevity, but if anyone living in our English Village abode is reading this post in 2097, please do me a favor and post a comment. A picture would be nice, too! Here’s the finished look of our living room, showing the beautiful work done by N. Chasen and Son. You’d never know the ceiling was once on the floor! They did a great job painting the room, too. 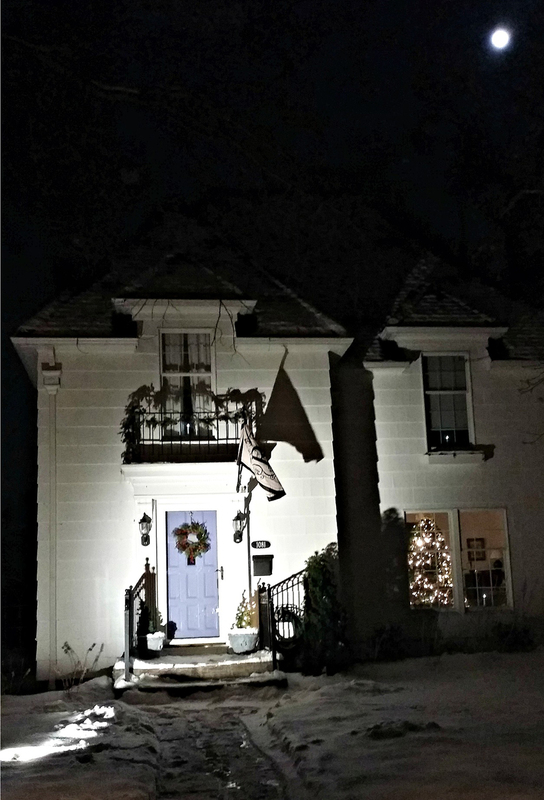 We used Benjamin Moore’s “Ice Mist” on the walls—a lovely white with just a kiss of blue in the undertones. This color will be my default for future rooms that beg to be white. A note to the reader: No compensation or obligation by N. Chasen and Son was expected, and none has been extended, in conjunction with this blog post. I’m just a satisfied customer and glad to give them a shout-out. 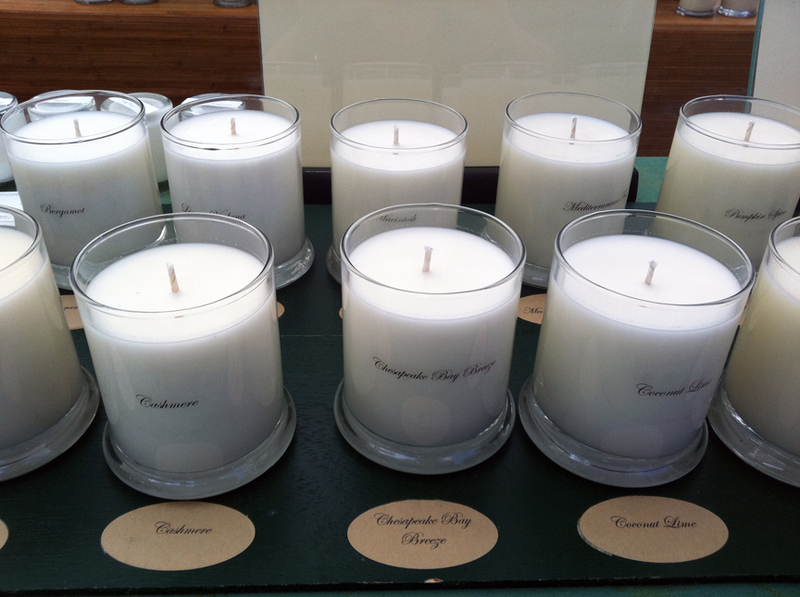 My husband John and I met him this fall at the South of the James Farmers’ Market, where candlemaker John’s display—and the fragrance emanating therefrom—immediately caught my attention. Some months later, I visited Erikson’s kitchen “workshop” to observe his process and examine his products. The former is exemplary; the latter, exquisite. As he explained it to me, most commercially purchased candles are made from petroleum-based paraffin. “You’ll never find an environmentally-friendly product with the word petroleum in it.” Erikson told me that the first time he ever made a candle, he used paraffin. A cloud of sooty dust emerged, staining the wall of his kitchen. That experience, along with his daughter’s environmental activism (she’s an actress living in California), was a critical turning point in the development of his philosophy. 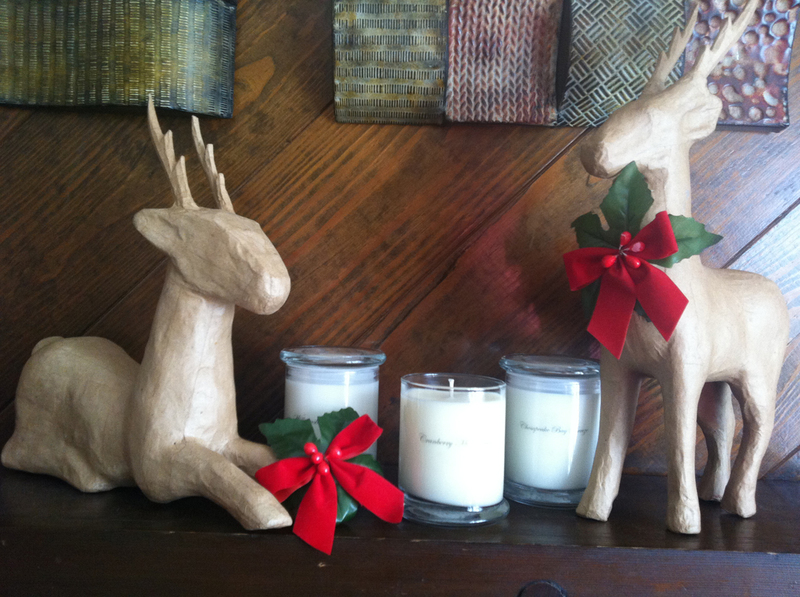 He established Pure Light Candles in 2005. Erikson crafts his candles from 100-percent natural soy wax, a product that is biodegradable, non-toxic, and burns at a lower temperature than paraffin, thus providing longer burn times and therefore greater value to the consumer. Soy wax also burns cleanly, leaving minimal wax residue on the sides of the jars, and none of the black sooty residue, known as “ghosting,” that John experienced during his fledgling attempt. Nor do soy wax candles release noxious petroleum wax pollutants. And, since the soy wax he uses comes from homegrown soybeans, the enterprise supports American farmers while minimizing transport offsets; he obtains his soy wax from a distributor in Durham, North Carolina, which ships via UPS and offers carbon credits. I asked him if nationally-known candle companies use soy wax. 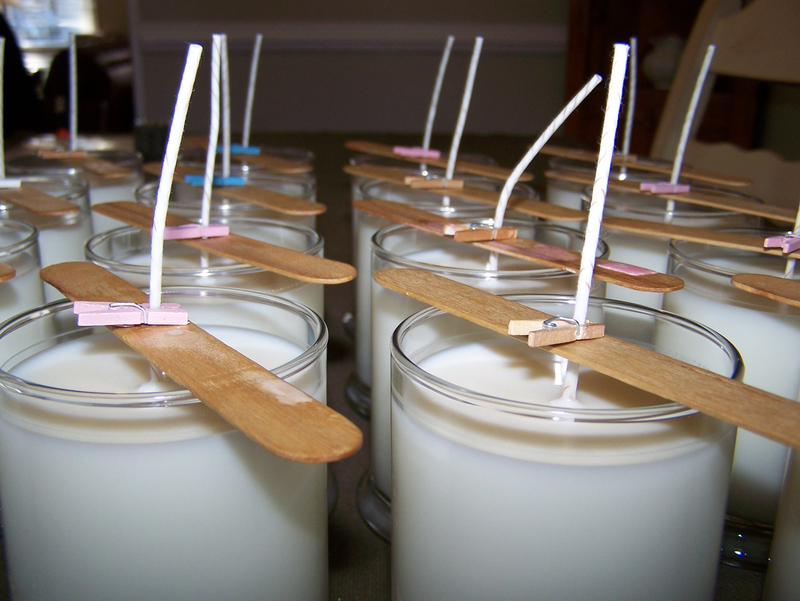 Erikson says that soy doesn’t lend itself well to mass-production; it’s “a small-batch wax,” and his production line is minimal; he makes only four to six candles at a time. So if you see a national brand marketing a soy candle, be aware, says Erikson, that a candle can be marketed as soy if it contains 30-percent of the product; the remainder is paraffin, which is a byproduct of refined diesel fuel. I then asked him why he doesn’t make his candles out of beeswax, another environmentally friendly material. “There are problems with beeswax,” says Erikson. “We have a huge shortage of candle beeswax here in the U.S., so a lot of it is imported from Asia,” a practice that runs counter to his “think globally, buy locally philosophy.” Everything that goes into a Pure Light candle is made in America. A candle’s fragrance is its essence. Here too, Erikson adheres to his environmentally friendly philosophy by using only botanical oils, which he obtains from a U.S. distributor in Kentucky. As for the rest of his materials, he uses only 100-percent cotton wicks. Some manufacturers add other substances, such as zinc, to stiffen a wick. Erikson doesn’t do business with them. Moreover, all wicks, he tells me, have to be primed with wax; most are primed with—you guessed it—paraffin. Erikson has his wicks specially made by a soy-wick manufacturer. He keeps labeling to a minimum, for aesthetic as well as environmental reasons, and employs an ingenious recycling incentive program: when your candle has given you all it’s got to give, wash it out with soap and water and return the empty container to him. He’ll pay you a dollar, and he’ll re-use it in a future production cycle. Now that, my friends, is a lovely light. If you would like to purchase something beautiful for your home and do something beautiful for the environment at the same time, Pure Light Candles are available for order by phone or e-mail, and will ship outside the Commonwealth of Virginia. You may contact John Erikson at 804-934-9171 or erikson_john@yahoo.com. 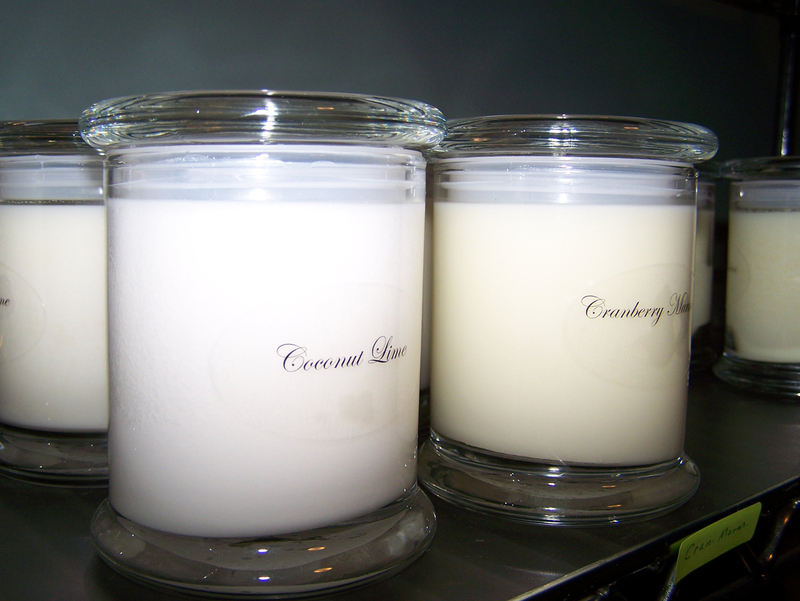 Pure Light Candles doesn’t have a website, but can be found on Facebook.